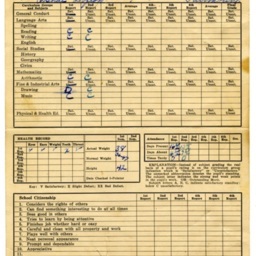 First grade report card issued to Oshal Lofton for the 1938-1939 session of school at the Fairmount Graded School near Zepp in Shenandoah County Virginia. 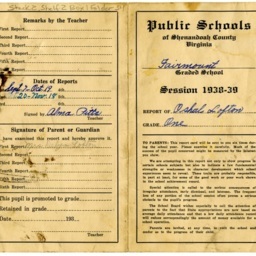 It was issued by the teacher Alma Pitte. 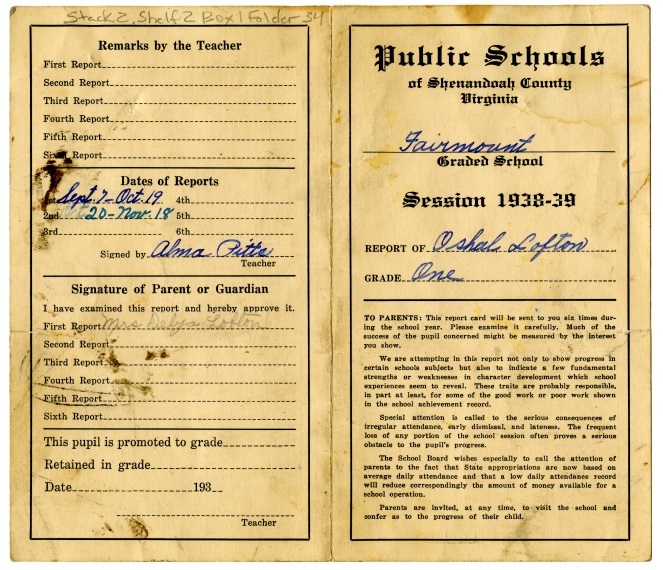 Fairmount Graded School, Shenandoah County, VA, General Collection, Truban Archives, Shenandoah County Library, Edinburg, Virginia. 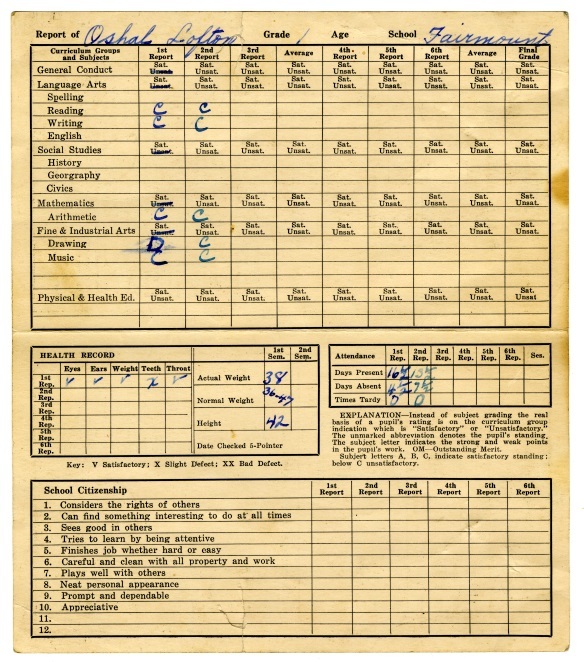 Unknown, “Oshal Lofton Report Card, 1938-1939,” Shenandoah County Library Archives, accessed April 22, 2019, http://archives.countylib.org/items/show/11746.